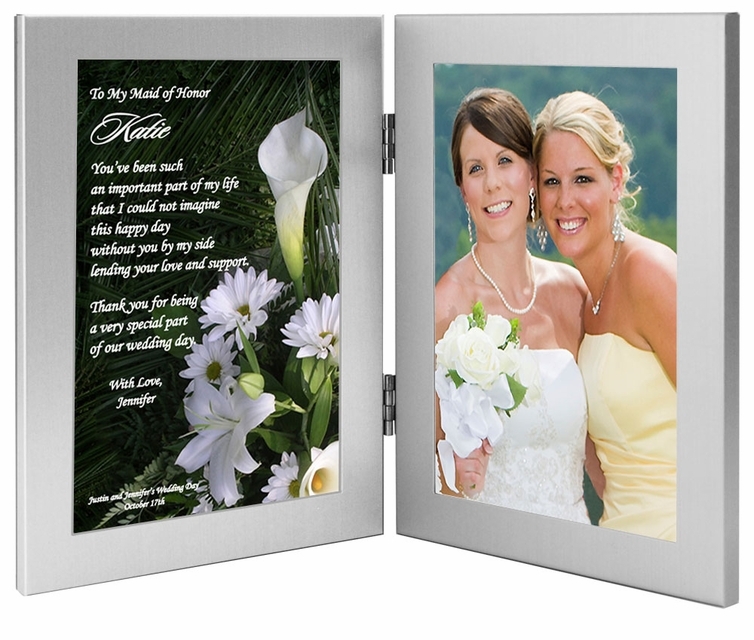 Let your Maid of Honor know how much you appreciate her with this personalized keepsake. Can be given before the wedding with a photo of her or a photo of both of you. After the wedding your maid of honor can change it to a wedding photo. 1. Optional Phrase Above Name (optional) - Examples: To My Maid of Honor; To My Sister; etc. 3. Closing Phrase and Your Name (optional) - Examples: Love, Lindsey; Thanks for Everything, Sarah; etc. lending your love and support.